Al Simmons, who fought in the Vietnam War as a commando was betrayed and killed by a man whom he believed to be his close friend. Upon his death, Simmons vowed revenge and returns from the grave. Al Simmons returns from the grave, lost and bewildered at how his wife Wanda is now married to his friend Terry Fitzgerald. Tormented by the thought that he can't be with his wife, Spawn is annoyed by Clown's efforts to drive him into violence and evil. When Tony Twist's cyborgic hired hitman, Overt-Kill, fails to eliminate Spawn, Wynn sends in Jess Chapel to get the job done. Police detectives Sam Burke and Twitch Williams begin trailing the child-killer known as Billy Kincaid, who poses as an ice cream man. Spawn must deal with a crazed priest, a person who doesn't die after a snipe shot. 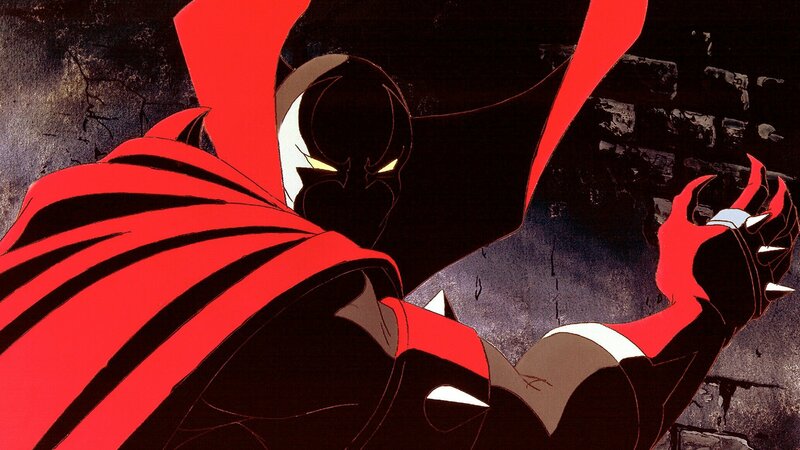 Spawn saves Cyan from Kincaid and returns her to her parents, along with the wedding ring Al Simmons was buried with.